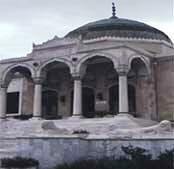 The Ethnography Museum of Ankara is located on on the site of a Muslim cemetery on a hill in Namazgah, Ankara, Turkey. The hill was granted to Ministry of National Education in order to be built as museum according to Decree of Cabinet of Ministers dated November 15, 1925 by General Directorate of Charity Foundations. The revolutionists taken part in Turkish War of Independence until 1924 giving importance to national culture believed in establishment of an Ethnography Museum including material and spiritual cult inheritance. For this reason Hamdullah Suphi Tanrıöven, Minister of National Education, asked opinion of his work friend Turkologist J. Meszarow, one of the chiefs of Budapest Ethnography Museum for establishment of the museum, and he was offered to serve for this purpose, which is understood from the report submitted to Ministry of National Education by Prof. Meszarow on November 29, 1924. Thus in order to make preparation for establishment of Public Museum a special committee firstly chaired by Prof. Celal Esad (Arseven) in Istanbul in 1924 and chaired by Halil Ethem (Erdem). 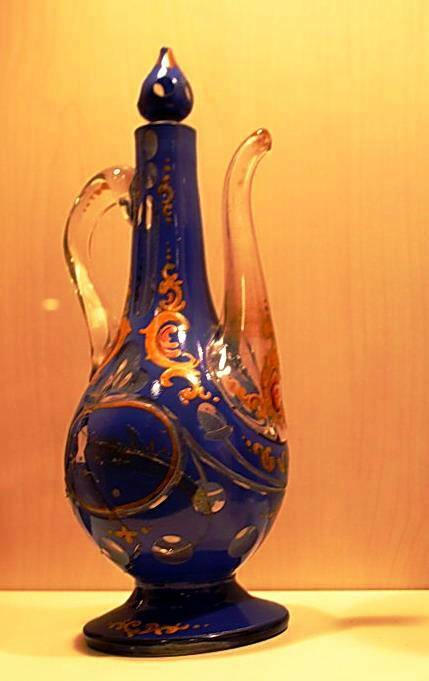 Director of Istanbul Museums in 1925 was established for collection and purchase of arts. 1250 arts purchased by the committee were exhibited in the museum completed in 1927. Hamit Zübeyr Koşay was appointed as Director of the Museum. This is the place where Atatürk who passed to eternity on 10.11.1938 lay down from 21.11.1938 until 10.11.1953. The Ethnography Museum served as a mausoleum of Atatürk for 15 years, until the completion of Anıtkabir. It has been visited by Presidents, ambassadors, foreign delegates and public. Works were continued during this period in the museum. Required changes were made for International Museum Week of 6-14.11.1956 and the museum was opened for public visits again. The architect of the building is Arif Hikmet (Koyunluoğlu), who is considered as one of the most valuable architects of first period Republic. The building has rectangular design and is one domed. Stone walls are covered with kufeki stones. Forehead section is covered with marble and decorated with carvings. 28 steps are used for entrance into the building. There is a 4 column, three way entrance system. When entered through the door. One reaches the room under dome and to columned section called inner courtyard. There is a marble pool in the middle of the courtyard, and roof is left open. When this inner courtyard is allocated as temporary mausoleum for Atatürk, the pool was transferred to the garden and the roof was closed. There are small-big size halls around the inner courtyard in symmetry. Administration section is adjacent to the museum and is two storey. The Bronze Atatürk sculpture on horse in front of the Museum was made by Italian Artist P. Conanica upon direction of Ministry of National Education. The Ethnography Museum is the museum where Turkish art from Seljuki to present time is exhibited. Public clothes, jewellery, shoes, slippers samples collected from various regions of Anatolia, woman and man socks from Sivas region, various bowls, laces, scarves. 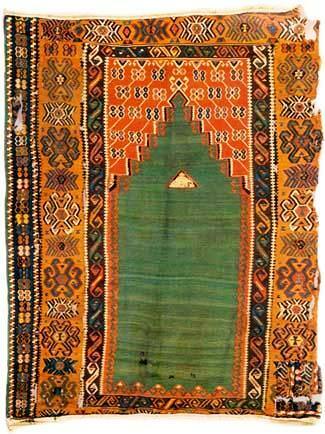 Belts, handkerchiefs, bed sheets, bride costumes, bridegroom shaving sets, old traditional Turkish art are exhibited. 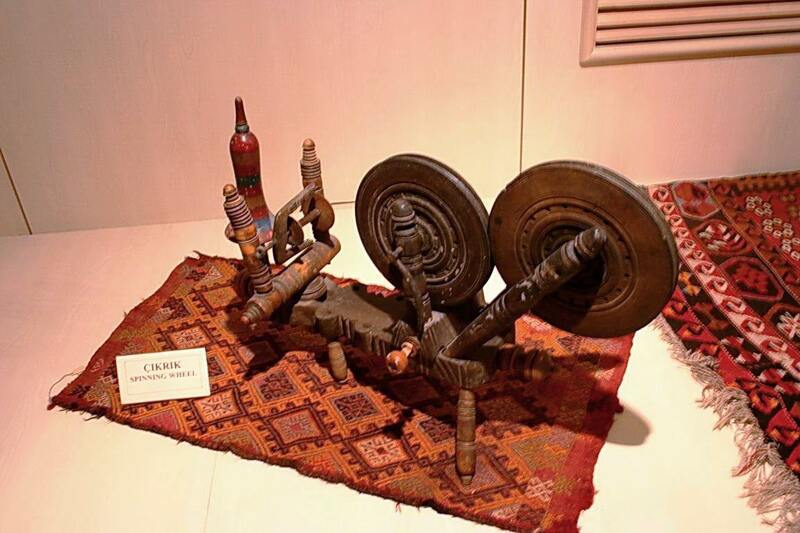 Technical material and designs unique to Turks and carpets, weaving benches from Uşak, Gördes, Bergama, Kula, Milas, Ladik, Karaman, Niğde, Kırşehir regions are exhibited. Among fine art samples of Anatolian Mine arts there are Memluk boilers from 15th century, Ottoman sweet boilers, hand washing jugs, trays, coffee trays, meal tables, cups, candle scissors etc. are exhibited. Arrows, bows, lighting pistols, rifles, sword and other things from Ottoman Period, Turkish pottery and porcelain and Kütahya porcelains, religious and sect properties, Turkish inscriptions are exhibited with the nice samples. Seljuki Sultan Keyhüsrev III's throne a finest sample of Turkish wooden works (XIIIth century), Ahi Şerafettin Sandukası (XIVth century), Nevşehir Ürgüp Damsa Village Taşhur Pasha Mosque nish (XIIth century), Siirt Ulu Mosque Nish (XIIth century), Merzifon Çelebi Sultan Medrese Gate (XVth century) are some of the important arts of the Museum. The collection granted as gift by Besim Atalay, member of VIIth Period TBMM (Grand National Parliament) contains Turkish art histories dating from various periods. There is a specialised library containing art works about Anatolian ethnography and folklore, art history.